4.5 36 Be the first to write a review! The no-touch pooper scooper. Over 100 million sold! 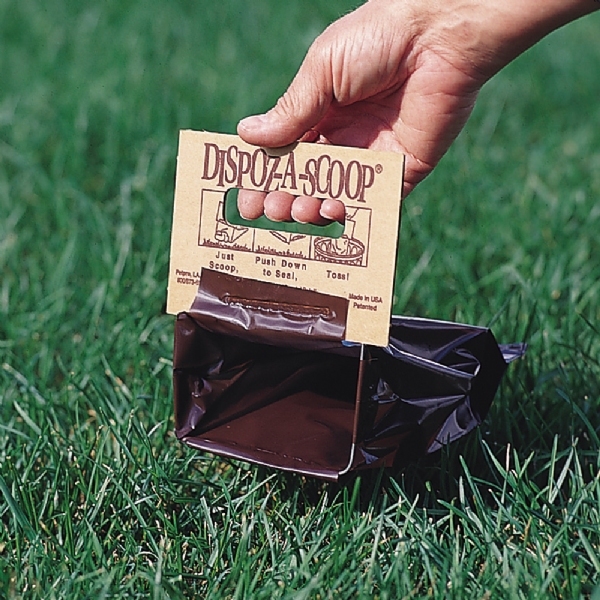 Dispoz-A-Scoop makes "pick-up" a safe and civilized experience! No Touch, No Mess, No Odor! Sanitary and Self-Sealing. Reduces spread of disease and possibility of bacterial pass-through! Keep your hand out of a bag and a smile on your face! Dispoz-A-Scoop is manufactured in the USA, and more than 100 million units have been sold.